Our guide to Seattle will help you find the best breweries in Seattle Washington. Seattle is surrounded by water and mountains, and the city's attraction lies in the stunning views seen from the many vantage points throughout it's several neighborhoods. The awesome height of Mount Rainier is truly appreciated when seen from within the city, as it puts skyscrapers to shame from 200 miles away. These are views which indicate Seattle's easy access to outdoor recreational activities throughout the year. You will find plenty of lodging fitting every description including bed and breakfasts, neighborhood motels, suites, inns and downtown boutique and high-rise hotels. Seattle offers a full range of arts, cultural and sporting events and attractions, and an abundance of shops and restaurants. You will probably wish to sample these in an exploration of its downtown historic district and surrounding neighborhoods. There are tons of great breweries in the city of Seattle, our city guide will help you find the best breweries. You may have a hard time deciding what to do in Seattle, but we make your decision easy. The local taste for beer spurs the microbrewing industry. Even before the microbrew revolution in the 80s, Seattle was ranked as having America's largest per capita consumption of beer. Seattle is home to a number of microbreweries including Mac and Jacks, Pyramid Alehouse Brewery, Elysian Brewers, Redhook Alehouse, Pike Brewery, Hale's Brewery and Diamond Knot Alehouse. 1415 1st Ave, (206) 622-6044 - Pike Brewing Co is a brewpub located in Seattle WA. 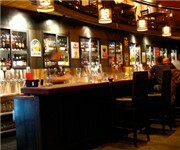 2415 2nd Ave, (206) 624-2219 - Full Sail Brewing Co is a brewpub located in Seattle WA. 401 NE Northgate Way, (206) 364-8000 - Ram Big Horn Brewery-Northgate is a brewpub located in Seattle WA. 4730 University Vlg Pl NE, (206) 525-3565 - Ram Restaurant and Brewery is a brewpub located in Seattle WA. 1201 1st Ave S, (206) 682-3377 - Thomas Kemper Brewing Co is a brewery located in Seattle WA. 1605 S 93rd St, (206) 764-1213 - Baron Brewing Company is a brewery located in Seattle WA. 2015 Terry Ave, (206) 762-0490 - Two Beers Brewing Co is a brewery located in Seattle WA. 3100 Airport Way S, (206) 622-2600 - Rainier Brewery is a brewery located in Seattle WA. 318 Nickerson St, 206 2848819 - The Nickerson Street Saloon is a brewery located in Seattle WA. 3901 1st Ave S, (206) 353-2453 - Schooner Exact Brewing Co. is a brewery located in Seattle WA. 4700 Ohio Ave S, (206) 762-0490 - We are connected to the Earth. We are connected to each other. Beer is social glue and the local economy matters. 5840 Airport Way S, (206) 766-8055 - Gerogetown Brewing Co. is a brewery located in Seattle WA. 700 NW 42nd St No108, (206) 782-2739 - Gilligan's Brewing Company is a brewery located in Seattle WA. There are plenty more breweries in Seattle. See all breweries in Seattle Washington.